To grow a successful business, you need the best, most-promising customers. But you also can't effectively serve 100 completely different clients. Some have got to go, and you've got to give them the boot. 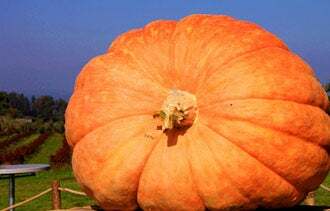 I liken the process to that of the giant-pumpkin growers. They follow the kill/ nurture process and turn out prizewinner after prizewinner. Removing less-promising pumpkins from the vine is standard operating procedure for those farmers. There is no mercy here, no "Aw shucks, it may grow big one day." They just kill it -- fast. This is the system I followed that helped me build my own multimillion dollar companies. And if you do nothing else, this process will help grow your business and get your life back. You might be thinking, "I cannot afford to lose a single client, so I'll just focus on growing my relationships with my top clients." Buzzzzzz! (That's the sound of my annoying game-show buzzer going off.) You can't devote yourself to everyone all the time. When you keep rotten clients, you can't do the work needed to grow those good relationships. It's time to remove the diseased pumpkins so your existing top clients, and other new clients, can blossom. If this step freaks you out, find the client who is the biggest pain and who, when fired, will have the least financial impact on your business. Fire that one first. If you're still feeling nervous, remember, you can always go back to the jerk. They'll give you the old "I told you so," take you back, and treat you like garbage, as they did before. So know this, if I am wrong (which I'm not), you can easily get diseased clients back (which you shouldn't) . . . if you really want to (which you won't). So how do you fire a client? Here are four ways to do it, without straight-up telling them. 1. Eliminate services. To get rid of clients who are downright nasty, just telling them you no longer offer one service so they don't come back and ask for your other services may not work; you may have to go about it differently. For example, you might eliminate a specific service or servicing a specific type of company (the same type of company your sucky client has . . . what a coincidence). To do this, use the industry expertise trick. Explain that "We have shifted all of our resources to serve an industry other than yours, and we can no longer help you." 2. Prioritize the stars. When the good clients call, they get serviced first. The cringe- worthy clients get pushed to the back of the line. When you're on the phone with a cringemeister and a star client calls, you (politely) hang up on the cringe client and move on to the good guy. The cringers will get the hint. Sure, it's a little bit Mean Girls, but it gets the job done. 3. Raise prices. If you really want to see bad clients run for the hills, raise your prices. And I don't mean a measly 10 or 20 percent. Increase your fees until it becomes prohibitive for the client. In rare cases, some clients will just rise to the occasion, paying you seriously good money just to keep working with you. Now they can't afford you failing, so they'll likely become all nicey-nice and help you. 4. Refuse to two-time. Another way of breaking ties with a diseased client is to say you have an agreement with a major client that prohibits you from servicing them any longer. I am not suggesting you actually create a contract; the goal is to have an explanation for the break. Just give your major client a heads-up—and get their nod of approval—that you are going to pin your breakup with a bad client on serving them (your good guy) better. After you're through with the awful clients, it's time to get rid of the ones who simply aren't a good fit. Even great, friendly customers need to go away if they are unfit for your offering. When the nice folks want to do business with you, but are unfit, introduce them to another vendor who can serve them. You are giving them great service by introducing them to someone else who is the right fit. Remember, just as in a pumpkin patch, weeding is a constant process. Companies change and clients come and go. Block off a day or two to evaluate customers and make the tough decisions. You never know when a pesky little weed or diseased pumpkin might worm its way in and take over your entire patch. Adapted excerpt from The Pumpkin Plan by Mike Michalowicz (Portfolio Penguin, Penguin Group (USA) Inc., 2012).